Much of my non-writing time is dominated by watching/complaining about/being horrified by the San Diego Padres. These days, there really isn’t much to get excited about it if you’re a fan and it’s hard to think that there will be anything worth getting enthusiastic for in the near future. When Jake’s ex-wife moves to Minnesota, Daisy does her best to make Stella Gardner feel welcome. She puts on a smile as she helps Stella move into her new home, and she even invites her to Thanksgiving dinner, hoping for a smooth transition as they redefine their blended family. But when Stella confides that she’s receiving threats at her new job, Daisy realizes that Stella’s life is being complicated by more than just sharing holidays and custody. And when those threats take a darker turn – a turn that affects Daisy and her family, too – she knows she’s going to have to get involved. Because her family’s happiness – and safety – depends on it. Mystery and shenanigans. Probably your two favorite things. Maybe? Anyway – it’ll be available a week from today on all of the usual ebook retailing sites. I’ll let you know the second it’s available. The second! And, hey. If you want to know about this kind of exciting stuff sooner, you can always sign up for my monthly newsletter. It’s been six months since I’ve sent one of these out. I think I still remember how to do it. In order to explain that, I need to go back about ten years. So, bear with me. It’ll take a few minutes to explain. When I published my first book, Killer Swell, in 2005, I was inundated with emails and phone calls from people telling me they’d read the book and they really enjoyed it. My publisher even got a few big time authors to take a look at it prior to publication and they were kind enough to say nice things about it. I remember being relieved that the majority of the people who read the book seemed to like it and I was still a bit dumbfounded by the fact that people were finally reading this book that I’d spent so long writing. I’m not sure that there’s another feeling like having someone come up to you, whom you’ve never met, and have them tell you they read your book and they liked it. It’s a crazy, surreal feeling. But the one person that read the book who surprised me the most was my dad. He didn’t read fiction. He was a newspaper guy, a magazine guy, an evening news guy. Make believe didn’t hold much appeal for him and I’m not sure exactly of how many novels he’d read in his life, but I’m pretty confident you could count the total number on one hand. But he did read Killer Swell and he liked it. I thought he might be bluffing about reading it, so I quizzed him on details and it turned out he wasn’t bluffing. He actually had read it. I guess I shouldn’t have been surprised. My dad wasn’t crazy into the details of sports like I am, but I can’t recall him ever missing a single basketball or baseball or football game I played in as a kid. He wasn’t a huge movie person, but he took me to see Raiders of the Lost Ark and we saw Chariots of Fire four times in the theater and we couldn’t drive out of the parking lot after seeing Airplane because he was laughing too hard to pull out of the parking space. And he certainly didn’t really understand my fascination with books, but spent plenty of hours sitting in chairs in bookstores while I perused the shelves. So while our interests might’ve been different, he managed to find a way to bridge the gap, even if it bored the crap out of him. As my career started to grow, I think he (along with my mom) was more excited about it than I was. They wanted to know when the signings were going to happen. They flew to San Diego to be at a signing on my first real book tour. They pushed the book to their friends. In the last ten years, he and my mom have basically served as my sales and marketing team. That doesn’t mean he read everything I wrote. He tried the Deuce books and he just didn’t get them. Too far removed from reality, probably. The lunacy and humor I put into those books just didn’t resonate with him. And that was fine because it saved me from having to explain that even though the father character in the book was based on him, it wasn’t exactly like him, because I might’ve taken some creative liberty and stretched the boundaries of some of my father’s idiosyncrasies. Mockery is the sincerest form of flattery or something like that. In November of 2013, when things were really starting to take off for me from a writing standpoint, when my life finally was sorting itself out after a period of some really crappy years, his got a bit more complicated. He was diagnosed with multiple myeloma, a form of blood cancer. It’s an understatement to say that he didn’t take the diagnosis well. He was pissed off. He wasn’t supposed to get cancer. Cancer was something other people had. He just had some back pain and the doctors must’ve been confused. But they weren’t and he had to deal with the reality that his new reality was different than what he’d planned. The original prognosis was good. If all things went well, maybe ten years. Maybe a little less. Never good to hear that you’ve been assigned an expiration date, but a decade felt somewhat fair for a guy who’d just crossed seventy years of age. Yeah, there’d be radiation and chemo and a lot of other crap and he wouldn’t feel great all the time, but if it bought him that extra decade, then fine. There were lots of ups and downs in 2014. Some weeks were good and some were not. If you’ve experienced cancer firsthand, this isn’t news. It is a roller coaster than never stops at the station to let you off. The longest ride you’ve ever been on, the one that provides exactly no thrills. But I think we all were hanging on to that initial prognosis. I’ve had other family members and friends who’ve experienced cancer and come out on the winning end. So I think we all were holding onto the notion that he still had a fair amount of time and hey, sometimes cancer just goes the hell away. But when we hit January of this year, it was pretty clear that his time was going to be significantly limited. I won’t share all of the ugly details – mainly because he’d probably be mortified that I’d share them with anyone – but, again, if you’ve been around terminal cancer, you know how it goes. Once you start sliding downward, it becomes hard to stop. And the slide started in earnest in February, continued through March and on April 28, 2015, one day after his 73rd birthday, my dad passed away. It’s very strange now that he’s gone. No phone calls. No texts filled with tons of typos. No more yelling at the guy in the next lane who got too close to his beloved Lexus. There is a void there and it’s almost like he’s gone on some long trip to Europe or something. Which is crazy because the last thing my dad ever would’ve done is travel to Europe. So my 2015 hasn’t gone as planned. I got Foul Play out at the beginning of the year, but the other projects have been slow going because we’ve been occupied by other things and, quite honestly, I haven’t felt much like writing. The wheels are turning again, though, I promise. But I’m a little reluctant to throw out release dates until I get a bit closer to finishing the next Joe, the next Noah and the next Daisy. They are coming, but I hope you’ll excuse their late arrival. Sometimes, life gets in the way and takes a swing at you when you aren’t expecting it. Thank you to those of you that knew what was going on and reached out with kind words. I am a private person and share very little about what goes on behind the curtain, but I do appreciate your good thoughts. Thank you to those of you that have asked where the books are. Your continued interest is why I continue to write the books and I genuinely appreciate your investment in my writing. I also sincerely appreciate your patience. I’m getting back to it. Because I know that somewhere, my dad is asking “So what are you working on? So that’s where I’ve been. But a new book is on the way. I’ll post the cover in just a few days. You can sign up for the newsletter or check back here if you want to take a look. What? The fifth book in the Joe Tyler book series comes out next week? 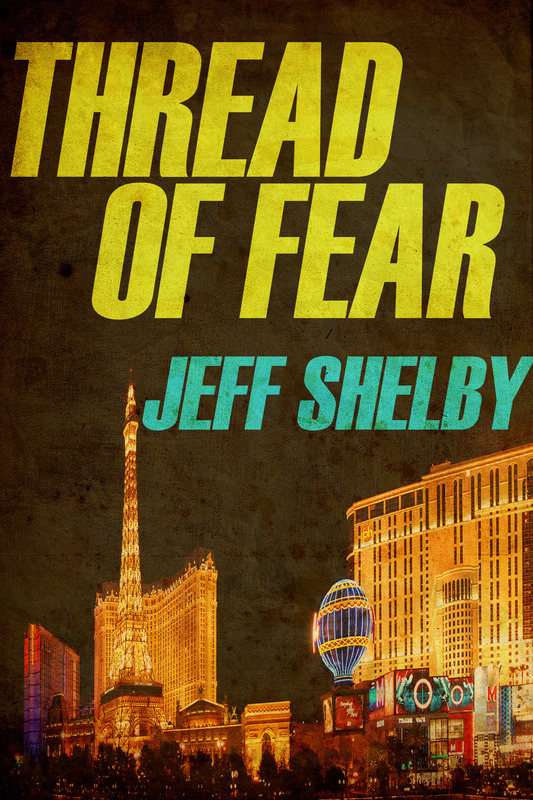 THREAD OF FEAR will be available next week. Want to make sure you find out the second it’s available? Maybe even before the general public? Sign up for my newsletter right here and you’ll get an email the second it’s available! Hmm. Looks like this thing still works. Let me do some quick remodeling. There. It looks better now. Okay. More to come soon. Oh, and hey. 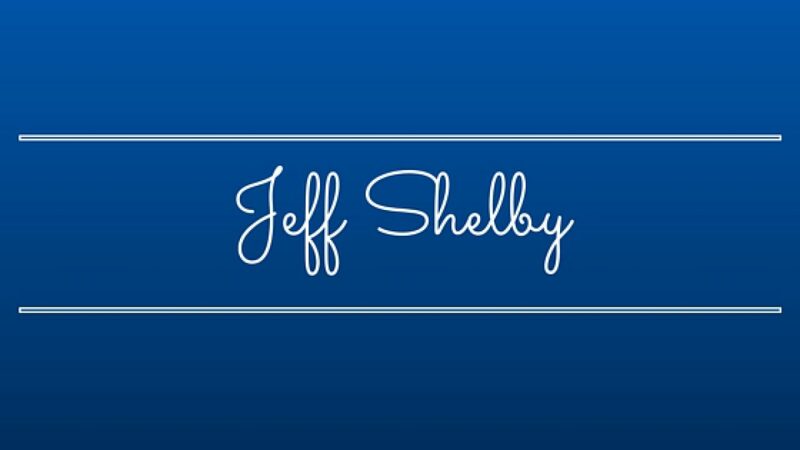 Since I’ve been gone, I’ve started a monthly newsletter. It has…stuff in it. Do you want to read it? *looks deep into your eyes* Yes. You want to read it. So maybe go here and add your email and we’ll be like best friends forever.